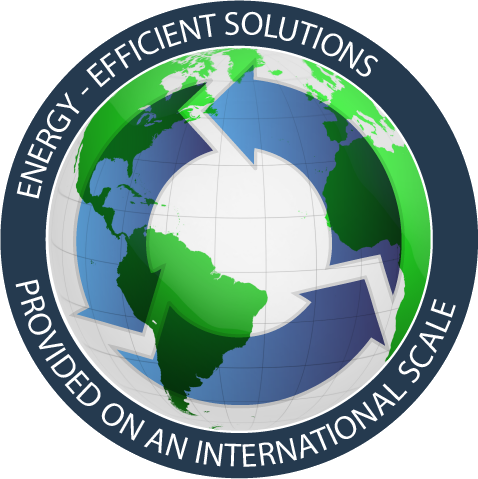 The SST system provides a wealth of energy management features that can be used to dramatically reduce your operational costs. Many of the features were developed specifically for environmental control solutions but many others can be utilized for all control system types that we provide. Listed below are a few of the many power-management features provided by the SST system. As you review the list, its important to remember that to take full advantage of the energy saving capabilities of the system, additional equipment may be required. The system allows users to monitor the energy consumption of individual refrigeration equipment components in real time. Users can also monitor the energy consumption of the entire system at once. Historical energy consumption information is also stored to allow users to view the energy consumption trends of individual components or the entire system over time. The information can be reviewed locally or from a remote site. The system provides detailed energy consumption reports that can be used to fine tune the parameters of the system to ensure that the refrigeration equipment is operating at maximum efficiency. The system also provides the tools required to allow a user to define custom reports for management review. The system provides the functionality required to allow a user with the proper security clearance to create unlimited compressor schedules. This capability allows the customer to configure lead-lag compressor start sequences to compensate for large product loads that are expected or seasonal requirements due to ambient temperatures. The BRTI or Blast Run-Time Interval feature was originally developed for blast freezers; however, the feature can be used on all evaporators in the system to improve operational efficiency. This feature provides up to three defrost intervals for valve groups thus allowing the customer to configure defrost cycles to compensate for specific product load factors. Proper use of this feature can guarantee that the evaporators are operating with a clean coil. The temperature setback scheduling feature of the system allows the customer to create automatic time of day/day of week set-point schedules for the evaporators. The schedule capabilities can be used to reduce overall KW consumption by turning off equipment during peak power charge periods. Reduced equipment requirements obviously equate to reduced compressor runtime requirements. The scheduling capabilities of the system related to evaporators and compressors can be configured to minimize power consumption during peak charge per KWH times. Lead-lag compressor and evaporator fan run sequences can be based on power consumption. The underlying philosophy behind the entire control system is to achieve the required set-points using the least amount of power equipment possible. Customers can quickly configure new equiptment to operate at maximum efficiency. The component-based control scheme makes it possible for a user to configure new compressors, valve groups, etc...in just a few minutes. This control scheme eliminates pressure fluctuations that normally result from pulses of liquid being fed into a vessel with standard open/close solenoid valve types. This is accomplished by controlling the flow using modulated valves. Pressure fluctuations result in unnessary compressor start/stop operations. Controlled variance of the head pressure based on ambient wet-bulb temperature allows the system to maintain the lowest possible system discharge pressure. Controlled variance of the system suction pressure set-point allows the system to maintain temperature requirements at the highest possible suction pressure. Higher suction pressures and lower discharge pressures equate to reduced compressor workloads. The standard refrigeration control system provides the capability to control fan and compressor motors using VFD controllers. The additional up-front costs of the VFD controllers can quickly be recovered through energy cost savings. Once temperature set-points are achieved the temperatures can be maintained utilizing various equiptment motors running at a reduced speed. Motors operating at reduced speeds require far less power. The open-architecture term is more than an idustry buzzword, it actually is a specification. "An architecture whose specifications are public. This includes officially approved standards as well as privately designed architectures whose specifications are made public by the designers. The opposite of open is closed or proprietary." Our SST systems definitely adhere to the specification. All system-specific source code is provided to the end-user along with a robust interactive development environment that can be used to further enhance the system. The systems are implemented on a logical mechanical system-component level. The user-interface provides screens to allow authorized users to define control procedures based on the logical components of the system. The input and output definitions of the system are stored in a single database. Tools are provided on the user interface screens to allow authorized users to quickly modify and/or add system digital and analog I/O points. A trained operator can accomplish system enhancements that require additional I/O points or even racks with little or no assistance. A system can even be configured to monitor and control I/O rack chains provided by multiple manufacturers simultaneously. The standard system provides functionality to implement all common procedures related to environmental control processes through simple graphic screen-based configurations. The actual control programs are developed using a simple script language. If actual control level algorithms require modification or additional functionality (highly unlikely), the eCON client application suite provides all tools required for operational experts to modify/create and deploy programs or procedures. 2019 all rights reserved. (PHP Version = 7.2.16) LOGIC Technologies, Inc.